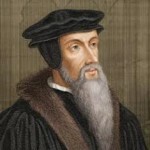 I have no problem with a Christian who calls himself a Calvinist. By this I mean that I hold no grudge against these folks, and I do not consider their theology outside the realm of fundamental orthodoxy. However I have developed an unreceptive attitude toward the influence some of my Calvinistic brothers have had on the brethren. And their influence is growing in both fundamentalist and broader evangelical circles, so that I run into problems with them more and more often. I am not a real Calvinist, although many Arminians would tag me with the name, but my arguments with certain Calvinist brethren are not so much about their system of doctrine as about how they hinder the cause of revival! This problem is not necessary because many good revivalists have been more or less Calvinistic, and many Calvinists have been evangelistic in both spirit and practice. Some with whom I have fussed in recent years are soul winners, but what they teach other preachers (often unsuspecting non-Calvinists) prompts me to speak up in protest! Let me boil down my complaints to three. These charges are not made against all Calvinists, but where they do apply, I definitely have a “beef” with the offenders. I won’t argue with how you explain the doctrine of election as long as you agree that God has a passion, a plan, and a provision for the salvation of every sinner! There is something wrong with an interpretation of one doctrine in the Bible that absolutely contradicts another clear Bible doctrine. And the Bible clearly teaches that God wants all men to be saved. The blessed doctrine of election brings comfort to a believer in Christ, but it shuts no one out of God’s mercy. Any explanation of it that confines God’s love to the elect is a perversion of it. Any teaching that robs “whosoever” of its meaning and turns the Gospel invitation into a pretense is simply wrong. There is a difference between doing evangelistic work in search of the people God wants to save, and spreading the Word with the conviction that God wants to save them all! It makes a big difference what you believe about this when you seek to win people to Christ. So I object when a Calvinist reasons away the truth that Jesus came to be the Savior of the whole world! Some Calvinists unnecessarily apply the doctrine of God’s sovereignty where it does not apply. Certainly the Lord is sovereign, but this truth does not cancel the conditional nature of many of His promises. If He says that He will react in a certain way to some action of ours, we can expect that reaction when we meet the stated condition. This is how a conditional promise works! When somebody says that God is completely unpredictable, he is negating the conditional promises found in the Bible. A sovereign act is an independent act not conditioned on any human act. The promises of revival are the most common victims of this misapplication of divine sovereignty. See what they say. God repeatedly promises to revive His people if they will turn back to Him. In the New Testament, this means the fullness of the Christian life. We call it “revival.” But Calvinists have taught us that revival is always “a sovereign act of God,” that we cannot expect it and should not seek it. Not all of the Calvinists teach this, but those who do are quenching the flickering flames of revival. If God’s people today draw nigh to Him in repentance, in prayer, and in belief of His promises, will He not lift them out of their carnality, worldliness, and disobedience? Have we the right to expect a fresh anointing of the Spirit in answer to absolute surrender and believing prayer? These are vitally important questions for fundamental Christians today, but teachers influenced by a certain kind of Calvinism are giving us the wrong answers! And the wrong answers will harm both individuals and churches. I am optimistic about the prospects of Biblical revival in our time because the promises of God make me that way. That’s why I have a complaint against those who would make these promises void by misapplying the doctrine of sovereignty. It is nearly the definition of hyper-Calvinism to let Calvinistic doctrine affect one’s practice. Those who consider themselves followers of reasonable Calvinism sometimes say that the “hyper” version of that theology opposes inviting the non-elect to Christ. In other words, when somebody’s evangelistic efforts are hindered by his belief in Calvinism, that person has become a hyper-Calvinist. The “doctrines of grace” deal with the “secret counsels of God” and do not relieve a Christian of his responsibility to spread the Gospel to all. An accurate understanding of Calvinism would not stop anyone from being an aggressive winner of souls. As we have said, the false idea that God does not want to save everybody tends to cool evangelistic zeal, but there is nothing in Calvinism itself that says it is wrong to work hard at converting sinners. Unfortunately, many who deny being hyper-Calvinists do work hard at discouraging people from intensive evangelism. “Emotional appeals” are decried and sometimes public invitations are opposed. Door-to-door visitation is criticized as ineffective, and praying with sinners for salvation is belittled and mocked. However, the truth is that true Calvinists ought not to fear that earnest entreaties and altar calls will get non-elect people saved! A speaker has gone overboard when he discourages revival campaigns, personal witnessing, or evangelistic services. And he is doing real harm. The Bible does not forbid the application of emotion in Gospel appeals. Further it commends rather than condemns a call for repentance following the presentation of the truth. The Bible teaches that Christians ought to be working daily for the conversion of lost souls. When Calvinism restrains us from seeking to reach the masses with the Gospel of Christ, it has been perverted and is injuring our spiritual lives. That’s why I have a “beef” with those who preach it that way! Without question, Calvinists and non-Calvinists can work together for the Cause of Christ. Doubtless genuine Christians with such theological differences ought to treat one another with love and respect. However, when the influence of one upon the other hinders the Cause, then there must be some fussing and perhaps some parting of ways. Let us always be kind, and let us never judge another, but let us be scriptural and honest with the brethren even if we may be accused of being contentious. God’s love extends to all the world, and our concern should be to reach them all with His Gospel. May nothing hinder us!